Here we go again. Climate activists are once again claiming that ‘global warming’ is causing record-breaking snow. Look at all that snow in the Alps; has global warming taken a break? Alas, no, it turns out that the recent record-breaking dumps of snow across much of southern Germany, Switzerland and Austria are more likely a consequence of global warming. Why? Balmy temperatures in the North Sea and Baltic Sea are cooking up the ideal conditions to create snow. Right now, average surface water temperatures in the North Sea are about 8C (46F), while the Baltic Sea is hovering at about 3C (37F). It might sound bracing, but as data from the Danish Meteorological Institute shows, these numbers are a good couple of degrees warmer than average for the time of year. And herein lies the problem. 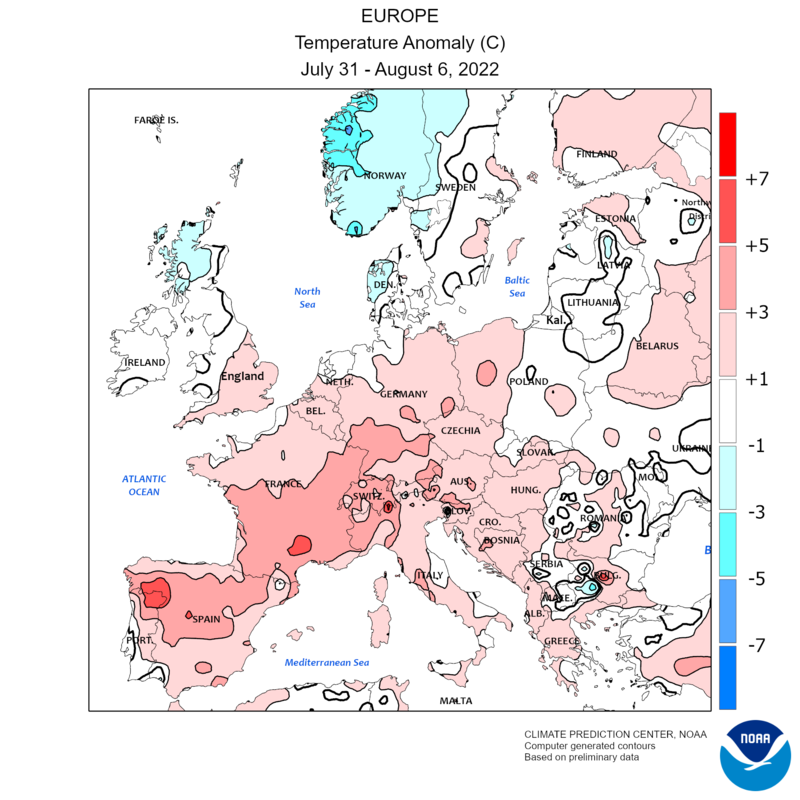 “Global warming enhances the current snowfall … Anomalously high sea surface temperatures in the North Sea and Baltic are loading winds from the north with moisture,” tweeted Stefan Rahmstorf of the University of Potsdam last week. Meanwhile, warmer than average air temperatures across northern Europein early January provided the ideal environment to turn all that moisture into snow. Around the globe oceans are warming far faster than expected. Extra snow and rain is a consequence we are all going to have to get used to. A new book reveals the long history of climate activists making opposite predictions so they can always claim they “predicted it” correctly. 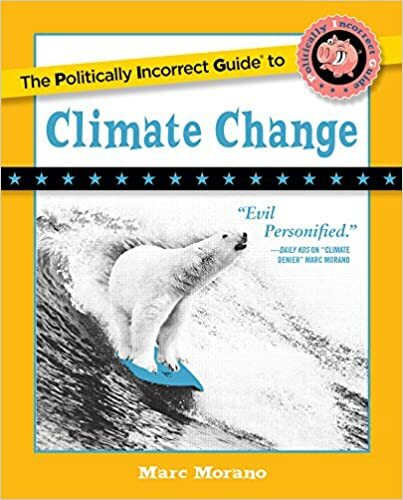 Get the new best selling and award-winning skeptical climate book that debunks the climate fear movement and educate yourself on the coming climate ‘solutions’ push in Congress. Another researcher, David Parker, of the UK’s Hadley Centre for Climate Prediction and Research, even went as far as to predict that British children would have only “virtual” experience of snow via films and the Internet. The predictions of less snow by global warming scientists were ubiquitous—and dead wrong. The current decade, from 2010 forward, is now the snowiest decade ever recorded for the U.S. East Coast, according to meteorologist Joe D’Aleo. Talk about an inconvenient truth. We missed it? Predictions of less snow were ubiquitous by global warming scientists. But once that prediction failed to come true, the opposite of what they predicted instead became—what they expected. How did global warming scientists explain record snow after prediction less snow? Easy. More snow is now caused by global warming.“Snow is consistent with global warming, say scientists” blared a UK Telegraph headline in 2009. 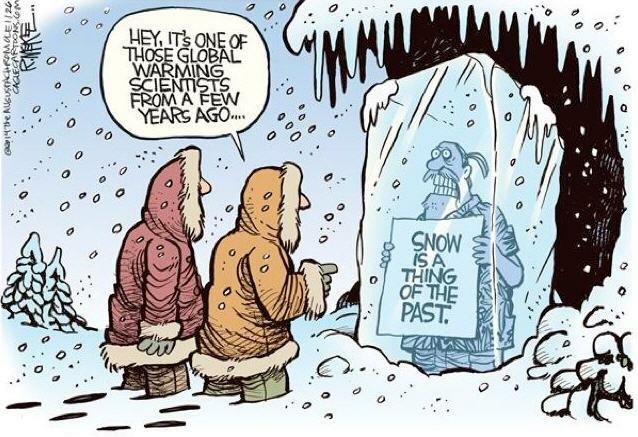 The FinancialTimes tried to explain “Why global warming means…more snow” in 2012. NBC weatherman Al Roker obviously got the “climate change” memo. “This is global warming even though it’s freezing?” Larry King asked Roker in 2015.“Right, well, that’s why I don’t like the phrase ‘Global Warming.’ I like ‘Climate Change,’” the weatherman explained.The message went from global warming causes less snow to climate change causes more snow. “So Boston at this point, is in number two snowiest winter,” Larry King asked just before Boston broke the record for it snowiest winter on record, in 2015. “Is this all part of Climate change?” Roker did not flinch. “I think it is,” he answered. So no matter what happens, the activists can claim with confidence the event was a predicted consequence of global warming. There is now no way to ever falsify global warming claims.